Once known to be a part of the hippy circuit, Anjuna beach is considered as the rave capital. 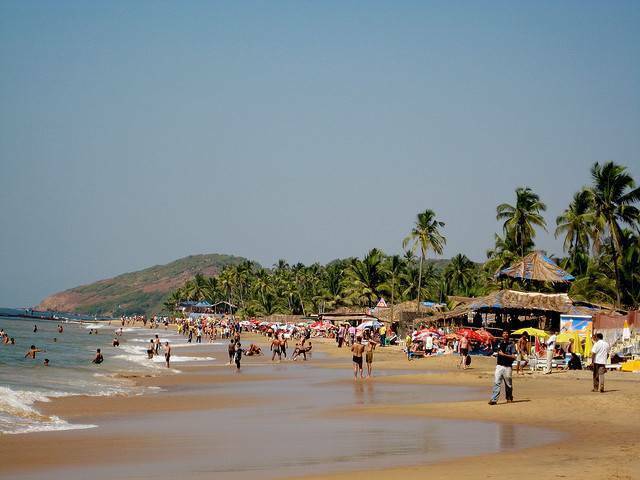 World famous trance and rave parties are held on the beaches of Anjuna, attracting tourists from all over to this beach. You'll see people of all kinds in Anjuna – artists, monks, hippies, curious travelers and soul searchers. Anjuna also holds wednesday flea markets, and you'll find trinkets, used books, clothes, food and activities of all kinds here. Visit Anjuna for its unique culture and laid back atmosphere. Anjuna Flea market happens on Wednesdays and runs from morning till late evening. Market offers a wide variety of things and bargain hard!